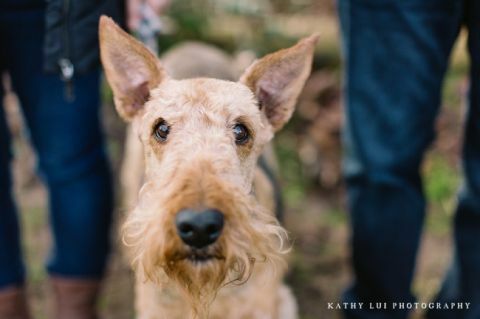 Those of us with pets know that nothing can take away the pain of receiving terrifying medical news from the vet or the devastation felt afterwards when our furry family members leave us, but a lot find comfort in preserving some of their memories in the form of photographs. 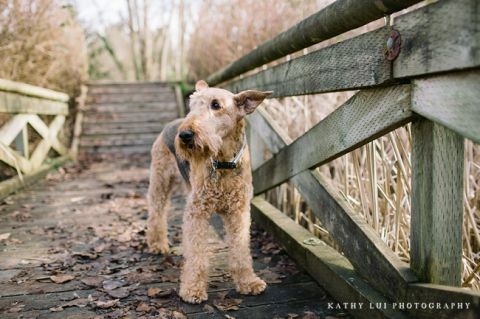 As a pet photographer, I hear this quite often and I understand, so when Ben and Sherrie received sudden news from their vet that their senior Airedale Faye may not be with them for too much longer, I knew it was urgent. So urgent and important that I decided it was worth it for me to capture those memories for them even on a wobbly ankle. I had sprained my ankle two days prior and couldn’t even walk when we scheduled the session, but I thought, what is an injured ankle compared to what Ben, Sherrie, and Faye are going through? I knew I had to do it. 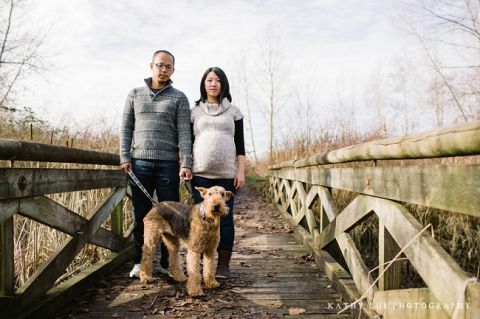 Two days later, we had their family portrait session in one of Faye’s favorite parks in Vancouver. She was feeling very unwell, but somehow found the energy to do this for her parents. 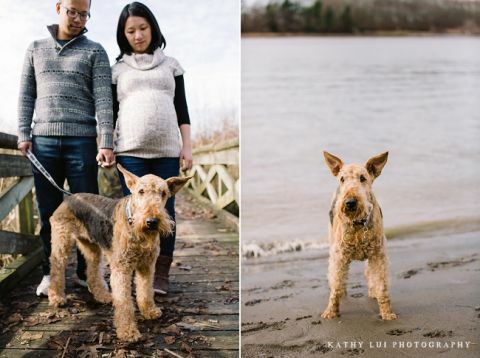 Faye has since crossed the bridge and I hope these photos give her parents everlasting memories. Please feel free to share your comments (below) with Faye’s family. ElaineFaye was such a happy, gentle girl all her life. She adored every being she ever came in contact with. I will always remember the times we spent together whenever Ben & Sherrie were away. Her friend, the crazy boy will for sure miss her too.